Dr. Sandeep Batra is Senior Consultant of Medical Oncology at the Max Super Speciality Hospital, New Delhi. 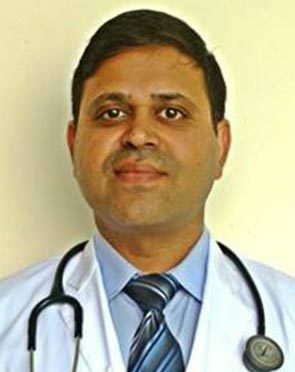 His educational qualifications include an MBBS from PGI, Rohtak; an MD in Medicine from the same institute; a DNB in Medicine from the National Board of Examinations, Delhi; and a PGDMLS from the Symbiosis University, Pune. He was also previously a Senior Consultant at the Medical Oncology at Medanta The Medicity, Gurgaon. He was also involved in academic activities including training of oncology students and oncology nurses. Dr. Batra has many national and international publications to his name and has also edited various oncology-related chapters in numerous books and online resources. In his medical practice of 15 years, Dr. Batra has developed a special interest in the management of Lung Cancer, Breast cancer, Colorectal cancers, Genitourinary cancers including Cervical cancer, Ovarian Cancer, Kidney cancer, Bladder cancer, Prostate cancer, Myeloma, Lymphoma, Leukemia and Sarcomas. Dr. Batra performs 22 different procedures. Click on a procedure name to see more details and to view doctors for that specialty. Kidneys are bean shaped organs and are in a pair. They are located in the lower abdomen, one on either side of the vertebral column. Kidneys perform the task of filtering the toxic wastes from blood and thus helps in eliminating it in the form of urine. Kidneys when affected with cancer loses out on the potential to filter the blood and thus the life of an individual is affected. In cases where cancer is benign (stays in one place), minor surgical procedures and other radiation treatments are used and in the cases where cancer is malignant (spreads to tissues), surgical removal of the organ along with the removal of nearby organs is used, this is also coupled with various other techniques to get the best results. 4.4 average based on 53 reviews.